Woman Apologizes After Her Arm Was Ripped Open By Jaguar At Arizona Zoo "The person involved met privately with zoo officials to acknowledge her regret for her role in the past weekend's events," park officials said. The woman suffered non-life-threatening injuries. "The person involved met privately with zoo officials to acknowledge her regret for her role in the past weekend's events. ... Wildlife world staff and administrators appreciate her sincere apology and we look forward to welcoming her and her family back at a future date," Wildlife World Zoo, Aquarium & Safari Park officials wrote on Twitter. The woman, whose identity has not been released, also made an apparent effort to remove blame from the animal, saying she was not "attacked." Instead, she framed the incident as a "crazy accident," CBS reported. 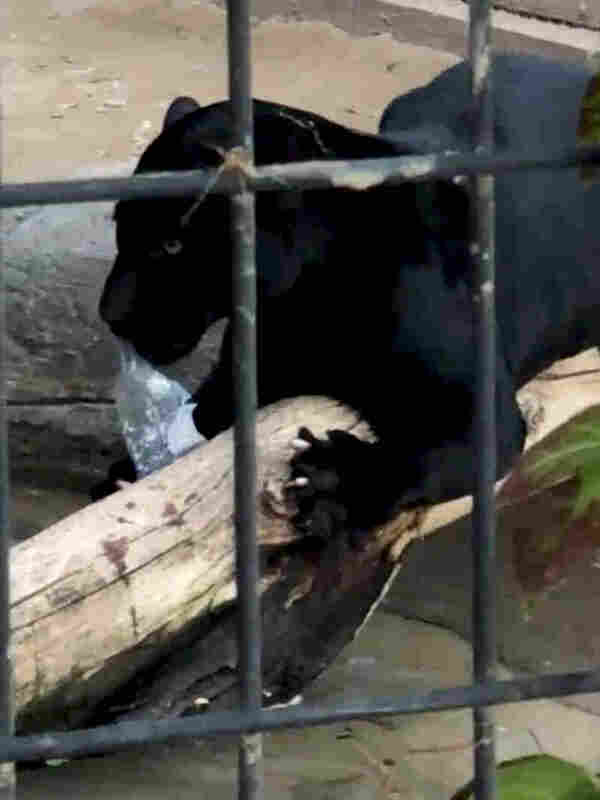 For now, the 4- to 5-year-old female jaguar has been removed from the exhibit while the zoo investigates, but officials assured the public that the animal will not be killed, because it was provoked. "We can promise you nothing will happen to our jaguar. She's a wild animal and there were proper barriers in place to keep our guests safe- not a wild animals fault when barriers are crossed," zoo officials said in a tweet Sunday morning. On a Saturday visit to the zoo in Litchfield Park, about 20 miles west of Phoenix, the woman climbed over a low concrete wall to pose for a picture against the steel fencing surrounding the jaguar exhibit. It is unclear if she stuck her hand into the cage, but witnesses said the creature's claws reached through the metal barrier and clamped around the woman's arm, causing her to shriek in pain. Several people rushed over to help, but it was a mother and son — Michele Flores and Adam Wilkerson — who pulled her to safety. "I hear this young [woman] screaming, 'Help, help, help,' and without thinking, I just run over there," Wilkerson told Fox 10. "I see another girl with her up against the cage of the jaguar, and the jaguar has clasped its claws outside of the cage around her hand and into her flesh," Wilkerson told the news station. A jaguar attacked a woman at the Wildlife World Zoo in Litchfield Park, Ariz. He explained that Flores, his mother, managed to distract the big cat with a plastic water bottle that she pushed into the enclosed area. Upon seeing the foreign object, the jaguar loosened its grip on the woman's arm, snagging only her sweatshirt. "At that moment, I grabbed the [woman] around the torso and pulled her away from the cage, and [the shirt] unlatches from [the jaguar's] claw," Wilkerson recalled. "The jaguar just goes after the bottle." 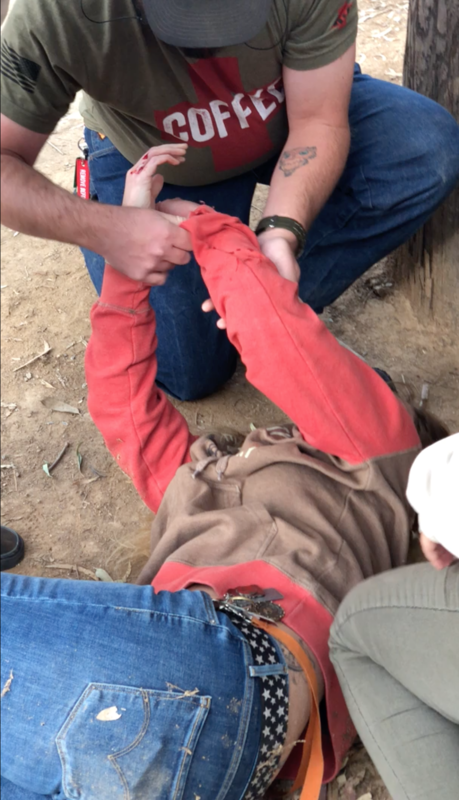 A video shot in the aftermath of the incident shows the woman on the ground, writhing in pain and exclaiming, "It hurts. It hurts." A gash about three inches long can be seen on her left forearm. "There's no way to fix people crossing barriers," zoo director Mickey Ollson told KTVK. "That happens occasionally. And we put substantial barriers there, and if people cross them, they can get in trouble." Zoo officials said the woman received several stitches at a nearby hospital but was not kept overnight. She returned to the zoo on Sunday to express regret for her actions, saying she loves the zoo and "feels horrible about the bad publicity the zoo is getting regarding the incident," a zoo spokeswoman told KTVK.